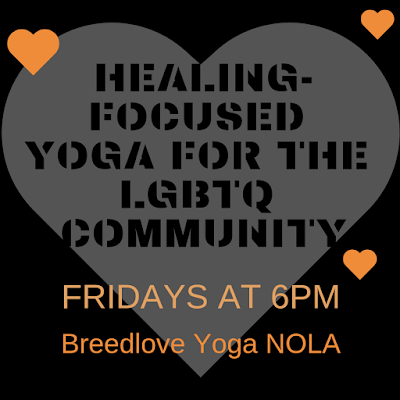 Breedlove Yoga NOLA: NEW CLASS ALERT: Healing-Focused Yoga for the LGBTQ Community with Meghsha! 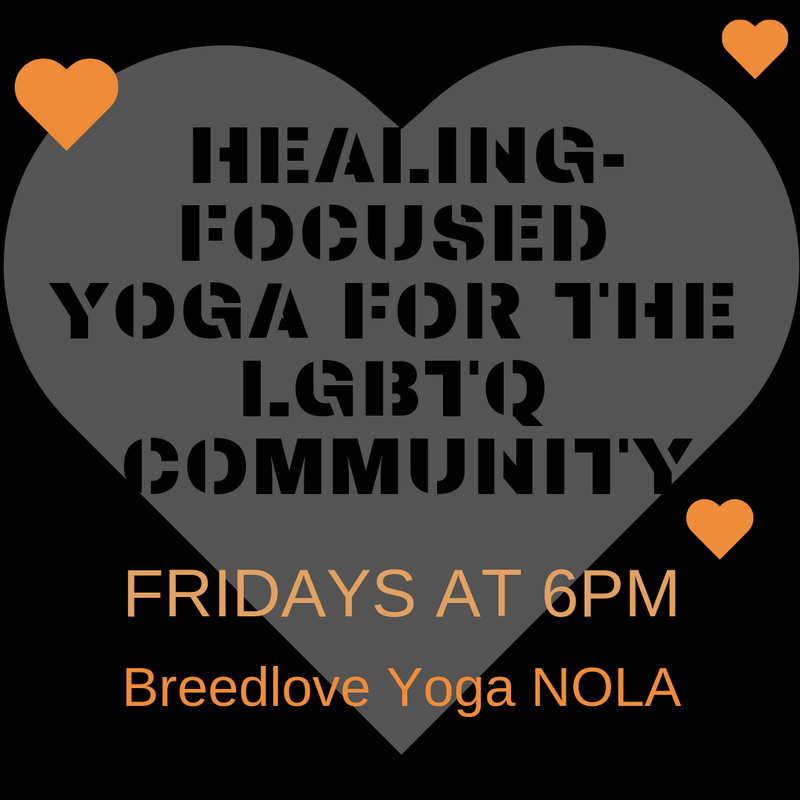 NEW CLASS ALERT: Healing-Focused Yoga for the LGBTQ Community with Meghsha! Beginning this Friday, April 5, join Meghsha for mindful movement for the queer and trans community on Fridays at 6pm! This class will be a gentle and calming practice, using principles of healing-focused yoga and mindfulness, and is designed to help LGBTQ folks feel more grounded in their bodies. It is intended to be accessible to newcomers to yoga. Meghsha is a nonbinary, queer survivor of trauma who sought yoga for their own healing, and wants to share it with their community. They approach yoga from an anti-racist, body positive, and trauma-resilient place. PLEASE NOTE: This class is a healing space for LGBTQ people only. There is a single, gender neutral bathroom. There are 4 steps up to the front door of the space. Everything you need for class will be provided. Free, but space for 6 people only - first come, first served.